Barbara Ann Kresge, age 82, passed away peacefully on November 08, 2018. Barbara was born March 05, 1936 in Lansing Michigan to parents Clarence D and Sarah A (Murphy) Kauffman. Barbara grew up in Lansing until age 12 when her family moved to Stockton CA and by age 15 she moved to Westchester CA. She graduated Westchester High in 1953, in 1955 graduated from Woodbury College of Business with a certificate in bookkeeping. She worked in the bookkeeping profession for over 45 years. Barbara met the love of her life, George, in 1953. They were married in November of 1955 and remained married until his death in 1993. They have four children. After moving to Saugas CA as a young mother, she was active in the Cub Scouts as a den mother and assisted her husband with Boy Scouts. She was also active in the PTA. Barbara enjoyed many camping trips with family and friends including trips to the desert to observe off road racing. She and George were also very active in the CB Radio Club of Saugas. In 1972, the family moved to Ojai CA and Barbara became a member of the Ojai Welcome Wagon. 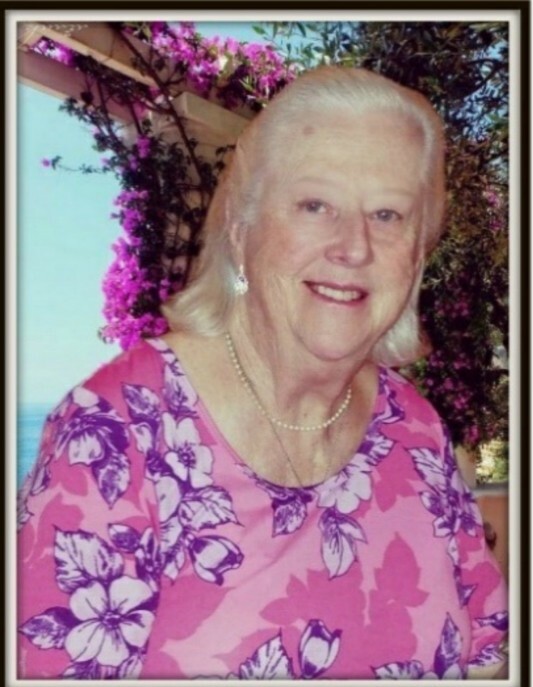 She enjoyed working at Meiners Oaks School in food services, cooking for the Meiners Oaks Lions Club, and bookkeeping at Ojai Ford, Ojai Valley Inn, Rains, and Rueben’s Burritos. She loved being a dispatch-coordinator for Little House/Help of Ojai. She supported her husband by participating in the Ojai Lions Club community work projects and later became the founding President of the Ojai Valley Lioness Club. In 2001 Barbara moved to Ione CA. She enjoyed meeting people while working part time at Sierra Trading Post and worked on the Amador County Republican Central Committee. Barbara was a devout Christian woman who had served the Lord in her churches since she was very young. She was a passionate animal lover. She loved to garden, go camping, cook, watch cooking shows and she played the piano. Her favorite pastimes were reading and she adored keeping up with family and friends on the Internet. Barbara was preceded in death by her husband George. She leaves a growing legacy of love through her four children: Jim (Chris) Kresge, Tim (Debbie) Kresge, Cyndie (Jim) Todd and Jon Kresge. Five grandchildren: Megan (Dave) Rath, Camille (Rick) Pippin, Daniel Kresge, Courtney (David) Hopkins and Cullen Todd. Seven young great-grandchildren: Sophia and Elias Rath, Hannah, Caroline and Laurel Pippin, Olivia and Henry Hopkins. She also leaves behind many cousins and friends whom she loved dearly. Barbara was a proud two time Breast Cancer survivor. She requested, in lieu of flowers, donations be made to her favorite charities in her memory.